Easy Dairy Herd Management Software was created to meet the needs of dairy farmers for an easy to use, reliable herd management solution. After two and half years in development and 12 months of testing on farms throughout Australia, Easy Dairy was officially released at International Dairy Week in January 2002. Since then, Ag technology has changed its name to Easy Dairy Automation Systems and expanded its products. Based in the Goulburn Valley, Easy Dairy Automation Systems products and services can now be found in dairies Australia wide. 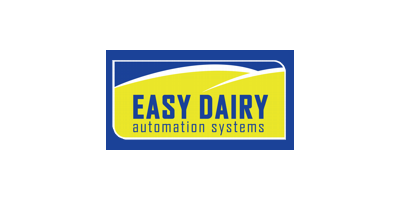 Easy Dairy's Automation Systems - Easy ID and Easy Draft, have been designed, developed and built in Australia to suit the needs of Australian Dairy Farmers.